Sheepspot’s CVM Worsted: the new worsted-weight yarn from Sheepspot, spun in the US from the wool of a US flock of rare sheep, is available now. But what the heck is a CVM? CVM stands for “California Variegated Mutant.” Yup, for realz. CVMs are a colored strain of Romeldale sheep. Romeldales are an American breed of sheep developed in the early 1900s, from a cross of Romney rams and Rambouillet ewes. They have always been quite rare. In fact, for many years, almost the entire population of Romeldales lived on a single farm, Stone Valley Ranch, in California. And the entire clip of wool from that flock was sold each year to Pendleton Woolen Mills, in Oregon. Like most commercial wool operations, Pendleton was not interested in colored wool, so colored lambs were culled from the Stone Valley flock. But in the 1960s, Glen Eidman, a sheep breeder who was working with Stone Valley’s owners to promote the breed, decided not to cull a colored ewe and then, later, a colored ram. Eidman bred the two colored Romeldales, and dubbed the resulting sheep California Variegated Mutants. From the beginning, Eidman bred CVMs with handspinners in mind. But even with a small group of spinners enthusiastic (very enthusiastic!) about their wool, the numbers of both Romeldales and CVMs dwindled without a breed association to promote them. The Livestock Conservancy, a group that champions rare and heritage livestock breeds in the US, formed a breed association and registry for Romeldales and CVMs. Even now, though, the Conservancy lists them as “critically” endangered, which means that there are fewer than 200 Romeldale/CVMs registered annually, and that the worldwide population of these sheep is likely less than 2,000 total. Part of Sheepspot’s mission is to support genetic diversity in the general sheep population by supporting the shepherds who raise rare sheep. We do this by educating our customers about the virtues of these unusual wools, and thus expanding the market for them. 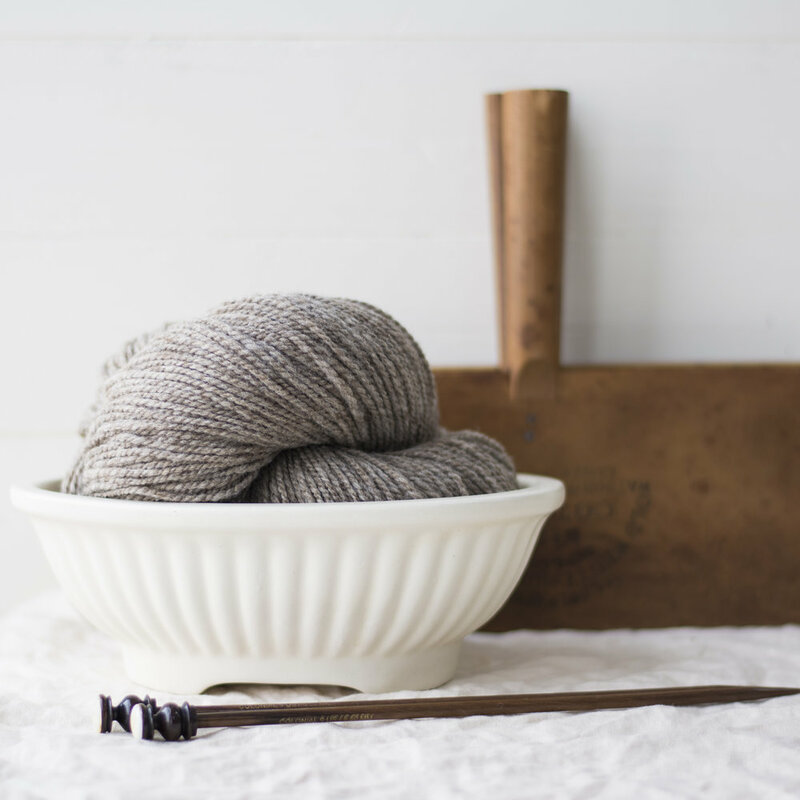 Since there are more knitters than spinners in the world (so far), getting these wools into the hands of knitters in the form of millspun yarns is an important part of creating more demand. So you can imagine that we were over the moon when a CVM shepherd in California contacted to ask whether Sheepspot was interested in buying wool—and when it became clear that she had enough wool to allow us to produce a millspun CVM yarn in several colors! The shepherd in question, Rhoby of Rhoby’s Ranch, not only had wool for us. She was also willing to sort the wool for us by color. So, after securing a sample, we agreed to buy the wool and Rhoby got started sorting. CVM Worsted is a two-ply, woolen-spun yarn that’s soft and resilient, with a slightly crisp hand. Its two-ply structure makes it ideal for patterns that incorporate lace and eyelets into their designs. The fact that it’s been spun using the woolen method means that it’s light, warm, and very elastic. Woolen yarns tend to be happy knit with a wider variety of needle sizes and in a wider variety of gauges than their worsted spun counterparts, both because their fuzzier texture will fill in the gaps between stitches and because they contain a lot of air, and can thus be compressed a bit at tighter gauges without distorting the stitches. 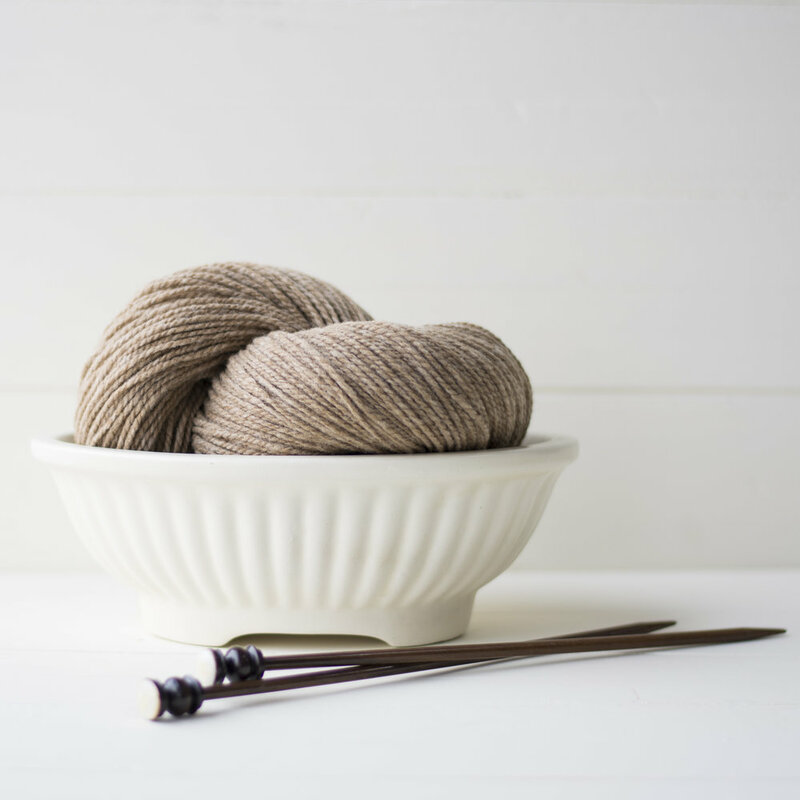 We’ve found this yarn to be happiest at around sixteen stitches over four inches, knit on US 7 needles (4.5mm), but as always, it’s crucial to get to know this yarn by knitting a swatch to get your preferred gauge. You’ll find a lot more information about swatching with CVM Worsted over on the Sheepspot blog. CVM Worsted comes in generously-sized skeins of approximately 280 yards, and is priced at $26 per skein. OK, I gotta have some of this yarn. What should I knit? We think CVM Worsted is a great sweater yarn, so we’ve made you a downloadable PDF with a list of eleven sweater patterns—five cardigans, and six pullovers—that we think would complement it perfectly, and that are knit in appropriate gauges. We’ve gravitated toward casual, classic designs that will suit CVM Worsted’s structure and characteristics. We hope you find something that you love. There’s a live link on every page that will take you directly to the pattern’s page on Ravelry, where you can learn more and buy the pattern. All the photos are copyrighted by the designers, and are used with their permission. Many thanks to Amy Herzog, ANKESTRiCK, Yellowcosmo, Melissa Schaschwary, Hanna Maciejewska, Isabell Kraemer, Caitlin Hunter, Stone Wool, Hilary Smith Callis, and Bristol Ivy for agreeing to have their patterns included here. 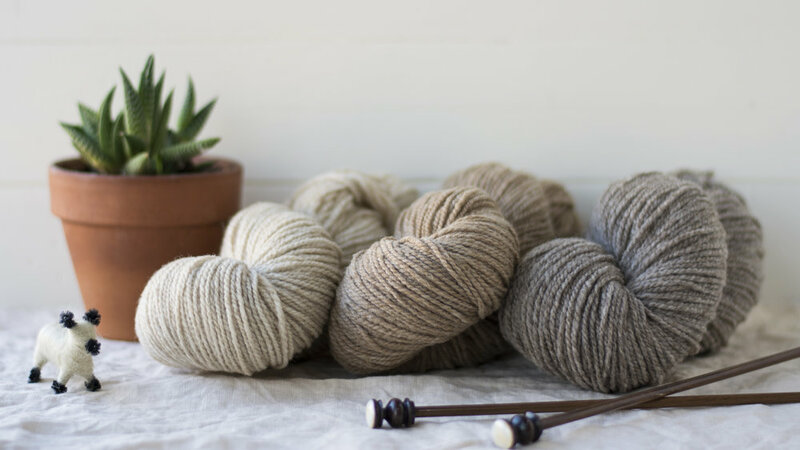 We can't wait to see what you knit with this wonderful new yarn.